Host a Fashion Week Party! The start of September means the start of NYC Fashion Week, and the KBNY team wants to give all you fashion lovers some ideas for hosting a Fashion Week themed party! 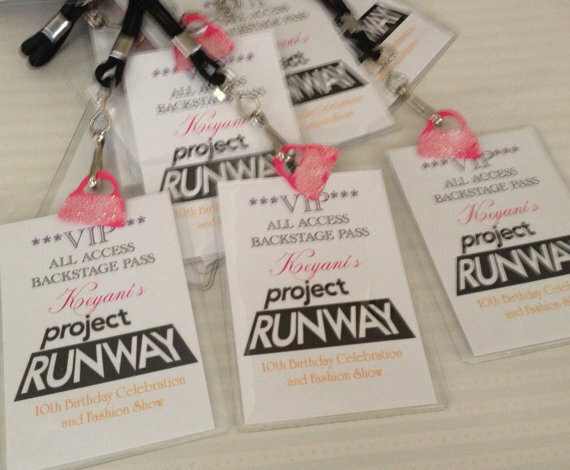 For invitations, create VIP/backstage passes for your guests. Come up with cocktails to serve and name them after designers; a Cosmo could be Alexander McQueen and so on. Create fun place cards by attaching them to paper or plastic shoes you’ve made. Check out this idea on our Pinterest board. Create a photo area by making the background look like the cover of a magazine. Hang different colored fairy lights or paper lanterns around the party area to add a fun lighting effect inspired by the runway. Play music that reminds you of being at a fashion show. You can even check out what designers are playing this year by searching online! For dessert, you can take inspiration from luxury brands and create designer custom cakes, cupcakes and/or cookies. You can also do this by taking inspiration from magazines. Check out our Pinterest board for more ideas! We hope all of you fashionistas enjoy celebrating NYC Fashion Week! Send us photos on Instagram or Twitter if you try any of our ideas @KarenBrownNY.